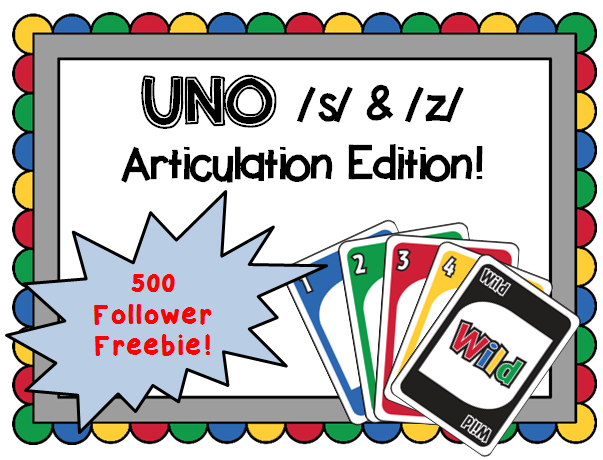 To celebrate the fact that I recently reached 500 followers on TPT, I posted this freebie: Articulation UNO - /s/ and /z/ edition! Just click on the picture to download. To sweeten the deal, TPT had immaculate timing and announced a sitewide sale coming 02/25 & 02/26! That means you can get up to 28% off TPT items that are participating in the sale if you enter the promo code HEROES at checkout. I love taking advantage of these opportunities to stock up on products, since their sitewide sales only occur a few times a year. Happy shopping!